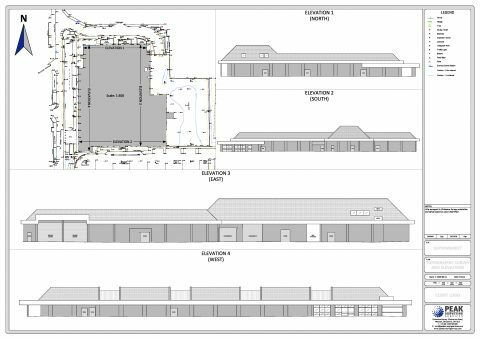 PSS provides a range of building surveying services ranging from simple footprints and floor plans to detailed elevations. Elevation surveys can be tailored to clients requirements, from a simple survey to define main features such as eaves, ridge heights, building features (ie windows, doors etc.) to detailed surveys of drainage features, roof finishings, window styles, lintels, sills and other architectural detail. As an invaluable addition to the elevation survey, high quality digital photographs can be draped over the building model to provide either static shots or 3D real time digital models and animation’s. Floor plan surveys can be produced to define wall, door and window locations, and service outlets, heating/ventilation positions. 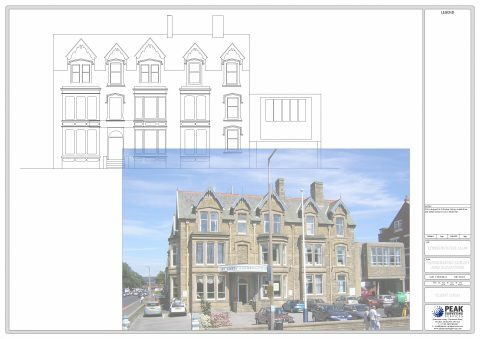 Highly detailed elevation survey including stonework features and full topographic survey to provide an accurate record of the building prior to proposed re-development of the site. 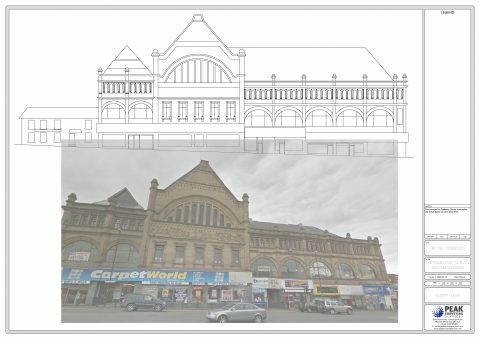 Detailed elevation survey and full topographic survey to provide an accurate record of the building prior to proposed re-development of the site.